No more guess work when it comes to air pressure! 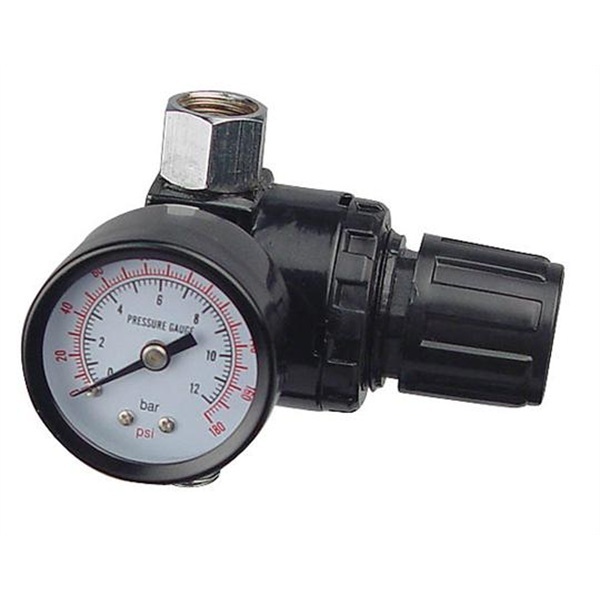 TP air regulator lets you know exactly what pressure you have at your spray gun. Diaphragm regulator gives you constant exact pressure, so important when painting. 1/4" NPS female outlet to fit most spray guns. 1/4" MPT inlet. 0-160 psi.